An echocardiogram is a painless, non-invasive test that lets your Forest Healthcare physician see your heart’s structure and movement in real time. The test utilizes ultrasound, that is, high frequency sound waves to display a moving image of the beating heart, its chambers, valves, and blood flow. Through this test, your Forest Healthcare doctor can determine how well your heart is working to deliver blood to your brain, organs, and extremities. 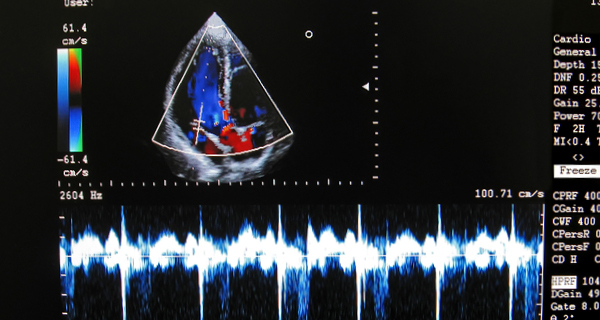 An echocardiogram may be used to help diagnose the cause of any abnormal heart sounds such as murmurs or clicks that were heard through a stethoscope. An echocardiogram can also help diagnose unexplained chest pain, shortness of breath or other cardiac symptoms. Doctors can use the results of the test to plan the best treatment for a particular condition.